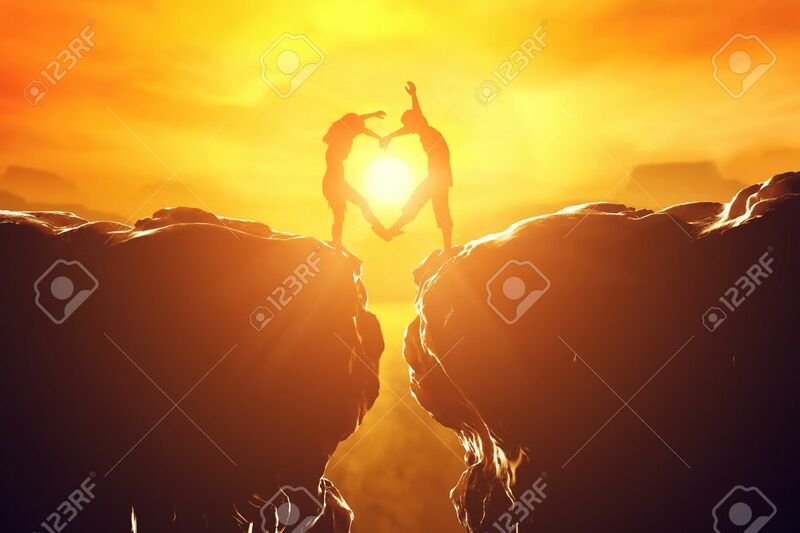 Happy Couple Making Heart Shape Over Precipice Between Two Rocky Mountains At Sunset. Love Unique Concept. Royalty Free Fotografie A Reklamní Fotografie. Image 33643758. Reklamní fotografie - Happy couple making heart shape over precipice between two rocky mountains at sunset. Love unique concept. Happy couple making heart shape over precipice between two rocky mountains at sunset. Love unique concept.